Enter the Wundrous world of Morrigan Crow and Nevermoor - the most fantastical children's series of the year. The journalists arrived before the coffin did. They gathered at the gate overnnight and by dawn they were a crowd. By nine o'clock they were a swarm. It's then that Morrigan discovers Jupiter wants her to contend for a place in the city's most prestigious organisation: the Wundrous Society. In order to join, she must compete in four difficult and dangerous trials against hundreds of other children, each boasting an extraordinary talent that sets them apart - an extraordinary talent that Morrigan insists she does not have. 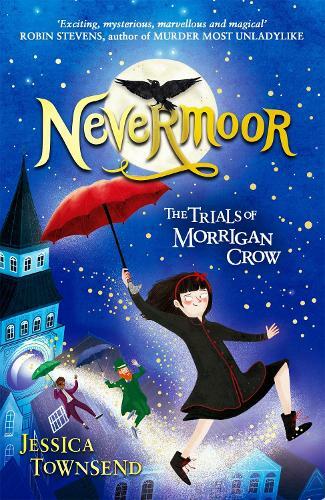 To stay in the safety of Nevermoor for good, Morrigan will need to find a way to pass the tests - otherwise she'll have to leave and confront her deadly fate once and for all. Perfect for fans of the Harry Potter series and His Dark Materials, this story takes readers into an extraordinary world, a place of magic and mystery that sets hope and imagination alive.